Jennifer Locklear is a Licensed Professional Counselor specializing in individual, couples, and family therapy. Jennifer maintains a private practice in Lewisville, North Carolina and founded Lewisville Family Counseling , PLLC in January 2012. In addition to being a prominent counselor, Jennifer is a Licensed Professional Counselor Supervisor and a Certified Clinical Supervisor and provides clinical supervision to Licensed Professional Counselor Associates and Licensed Clinical Addictions Specialist Associates who are working toward full licensure. 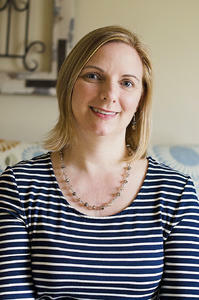 With over 12 years of experience as an individual and family therapist, and as a graduate of the University of North Carolina at Greensboro specializing in Community Counseling and Marriage and Family Counseling, Jennifer is currently serving as a private practitioner working with a broad spectrum of clients including children, adolescents, adults, couples, families, and groups. Among her areas of expertise are cognitive behavioral therapy for the treatment of depression and anxiety; yoga for emotional health, breathing, and meditation; mindfulness; Gottman method couples counseling; substance abuse and addiction; grief counseling; parenting support; and counseling for behavioral issues. Jennifer also has an interest in spirituality and, if a client chooses, can integrate spirituality into the counseling experience. Jennifer is an interactive counselor who practices from a multitude of perspectives. Her therapeutic approach is to provide support and practical feedback to help clients effectively address personal life challenges. She integrates complementary methodologies and techniques to offer a highly personalized approach tailored to each client. With compassion and understanding, she works with each individual to help them build on their strengths and attain the personal growth they are committed to accomplishing. In her private life, Jennifer enjoys spending time with her husband and two daughters, taking day trips, reading, dinners with friends, practicing yoga, and the occasional fondue.